NAIROBI, Kenya — On Monday a Nairobi court in Kenya detained a terror suspect for three more days in an effort to allow police to complete investigations over the man’s alleged links with terror group, Islamic State of Iraq and Syria (ISIS). The Court was told by the police that more time is needed to complete the investigation in to the matter as the accused was arrested in the Kenyan coastal town of Malindi. An investigation in to the suspect’s phone and other crucial materials is needed before pressing charges relating to terrorism. The matter will be heard on October 13, 2016. 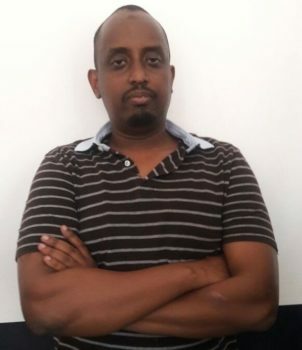 His arrest comes two months after two intern doctors at the same hospital, Shukri Mohammed Yerrow and Abdirazak Abdinoor were arrested over claims that they were planning to go to Puntland in Somalia to join the ISIS group. Dr Allin, Yerrow and Abdinoor attended Saratov University in Russia and were both working in the same hospital in Malindi where Dr. Allin was their supervisor. During the doctor’s arrest several electronic media was recovered including a laptop, iPad and several phones. Dr Allin is currently married to Mumina Rose Giovanni sister to, Ibrahim Sharrif Samatar who is linked to an Al Qaida terrorist network. Sharrif is a declared persona non grata in Kenya, after an investigation indicated that he is a close associate of the late Harun Fazul. Malindi OCPD Matawa Muchangi said, police, in a joint operation, raided the suspect’s home at 2am on Friday, October 7, 2016. “The suspect has links to the two other medical interns arrested in August,” he said, adding that he had been on the run since the arrest of his two alleged accomplices. He said police found terrorism-related materials, which he did not disclose to avoid jeopardizing investigations.